The San Ysidro School District has frozen the retirement accounts of two former top administrators in response to a state audit that said they were overpaid almost $207,000 for life insurance. The payments were made to former Superintendent Julio Fonseca and his deputy, Jose Arturo Sanchez-Macias. In a letter released on Monday, San Ysidro Superintendent Gina Potter said the district was working with legal counsel and fund administrators to return any money in the accounts to the district. “Additionally, we will review our options as to the feasibility in recovering additional identified overpayments,” Potter said. State auditors found Fonseca and Sanchez-Macias also were overpaid $103,200 for vacation days. Sanchez-Macias also was overpaid $14,100 in salary, according to the audit. In all, the auditors found the two were overpaid almost $324,000. Neither responded Monday to requests by inewsource for comment, but Sanchez-Macias and Fonseca’s lawyer have previously disputed findings in the audit. Potter’s letter to the San Diego County Office of Education was the district’s required response to the state audit, which was given to the school board on June 14. The report was also given to District Attorney Summer Stephan, the state controller and the state schools superintendent. Potter said San Ysidro plans to cooperate with them if they seek additional information. Fonseca and Sanchez-Macias, who previously worked together in the Bassett Unified School District in Los Angeles County, were employed by the San Ysidro district for a little more than two years. Their life insurance payouts were part of a 2016 contract amendment the school board approved. The state audit faulted school board members for failing to discuss the amendment and other changes to the employees’ contracts in a public meeting. The trustees also didn’t make the contracts publicly available, as required by law. inewsource first reported on the life insurance payments in October. 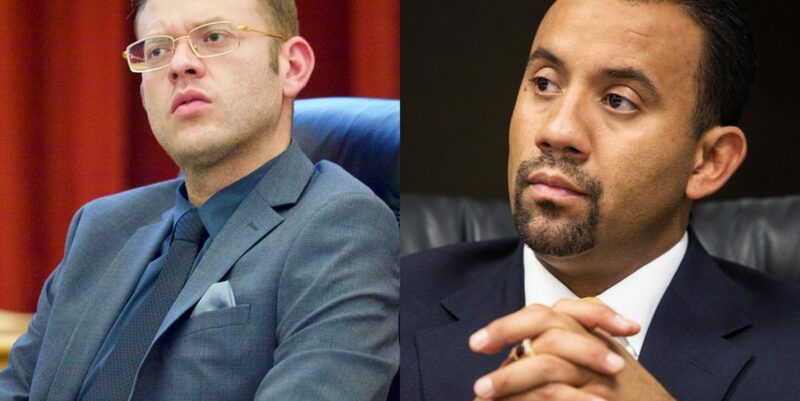 The amended contracts allowed Fonseca and Sanchez-Macias to receive the value of their monthly life insurance premiums directly, rather than the district paying an insurance company. But instead of receiving the monthly premiums, which had an annual value of less than $100, Fonseca and Sanchez-Macias received the total value of the life insurance policies in a deferred compensation account. That amounted to $107,000 for Fonseca and $100,000 for Sanchez-Macias. Potter, who became superintendent in May, said the district appreciates the audit’s “candid review” and plans to improve its internal governance. “I am committed to creating the highest level of leadership, systems and supports to best serve our community and understand that process starts with the superintendent and the Board,” she said in her letter.